For me, rheumatoid arthritis (RA) started in my left elbow. It was the elbow that had whipped thousands of fastballs and curveballs in its day. Then, seemingly overnight, I couldn't even bring my toothbrush to my teeth, let alone throw a ball. RA spread down to my knuckles, making it hard to even hold a baseball. I felt my athleticism ooze out of me, like honey dripping out of its plastic bear. Losing my arm control meant the end of a professional baseball career, but when the RA spread down to my knee, much more than childhood dreams were in jeopardy. Getting in and out of cars, or upstairs, was now slow and agonizing. My knee was swollen to the size of a roll of toilet paper. Walking hurt, but sitting still - and feeling my pulse in the bulbous mush of my knee - hurt even more. This was almost 10 years ago. My disease was its worst when it first began because I was hesitant to take medication, and hadn't found the right one for me yet. Those months of incapacitation, with my sports career so freshly in the rearview that I could still smell the leather of the glove and feel the stitches of the baseball, were traumatic. Being immobile set about a feeling akin to claustrophobia; I was a prisoner in my own mind. And it was kind of funny: My whole life I'd always thought of running as punishment, or at best, a mundane activity to prepare me for a more fun activity. But at that time, when my knees couldn't bend, I would've given anything to be able to go out for a jog. A few years ago, I learned about the Jingle Bell 5k run, put on annually by the Arthritis Foundation in dozens of locations across the country. I liked the idea of the race, but was reluctant to participate. Even though by then my knees were fully functional, I thought to myself: With all the doctor visits, and medications over the years, haven't I paid enough because of this disease? My wife was quick to point out the childishness of this, reminding me how desperate I'd once been to be mobile and pain-free, and here I was with an opportunity to not only run, but to contribute to the research of this disease. 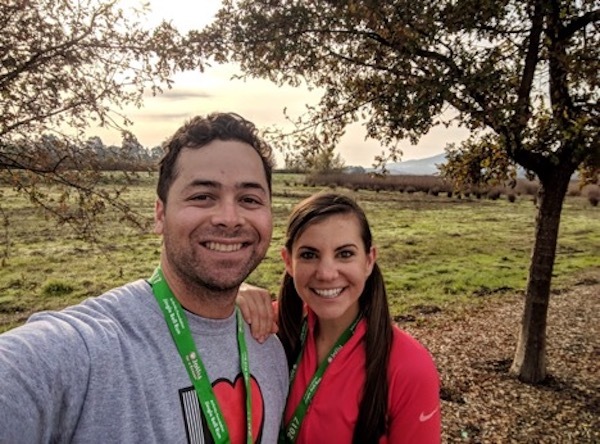 Since then, my wife and I have turned the annual Jingle Bell 5k into a weekend getaway wherever it's held in the Bay Area. In 2017, the race was on Dec. 2, in Petaluma, California, a couple hours north of my home in San Francisco. 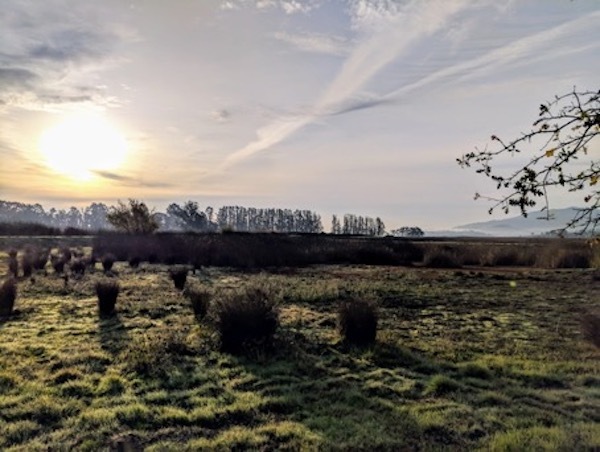 It was a chilly morning check in at 7:30 with the sun just beginning to peek over the bare winter trees, and mist hovering low across a green expanse. There were various winding walking paths that determined the route of the race. As we ran, I saw the choo-choo plumes rise from all the runners. The cold air stung my legs for the first part of the race until my pumping blood conquered the elements, and I settled into a nice rhythm. Before RA, I'd never been as observant, or in touch with my body while running. I'd never quite cared about my surroundings, or paid attention to the burn that begins in the Achilles heel, spreads through the calf and up the legs. I never appreciated the needle pricks of perspiration after you've been going for a while. All these things were, if anything, a nuisance. Now, they are welcome reminders of how precious an able body is. I won't ever have the physical abilities I once had; few people do once RA enters their lives. But this annual run, and daily activities like it, are small acts of determination to show the disease won't beat me. Emil DeAndreis. Caption: Emil and his wife at the Arthritis Foundation 5K.